Our personalised baby Keepsake box is a beautiful gift for proud parents and is perfect for safely storing gorgeous mementos. 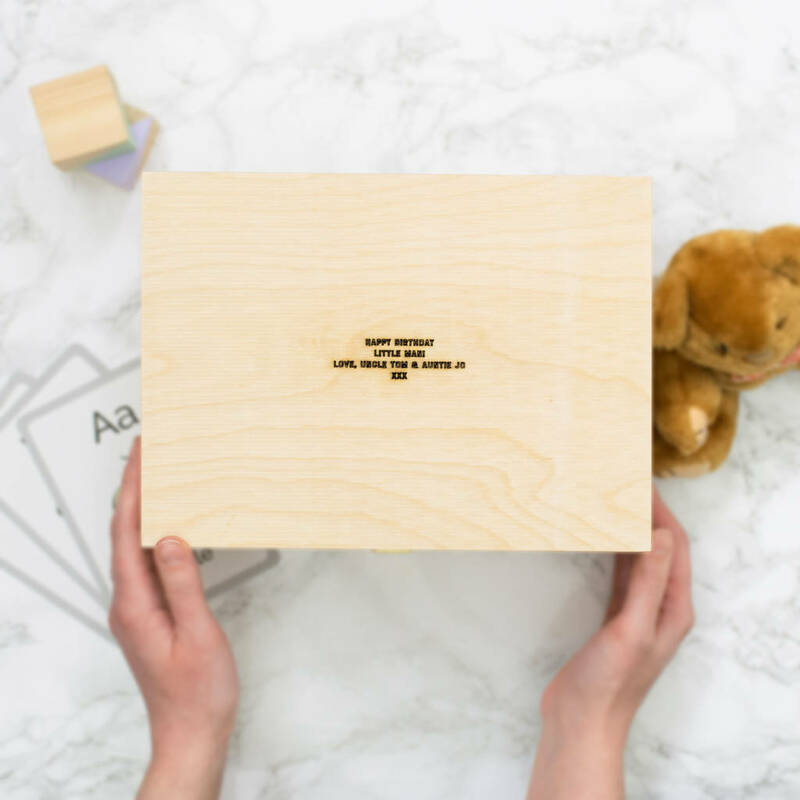 The box is a perfect size for photographs, cards and in years to come, it can be used to store first drawings, loved threadbare toys, first curl of hair and every precious memory. The beautiful design is perfect for baby boys or baby girls and makes a thoughtful and practical newborn gift for your child, godson, god-daughter, grandchild, niece, nephew or friend. Available personalised with a name, date or message on the front to make this a unique and thoughtful present that will be treasured. 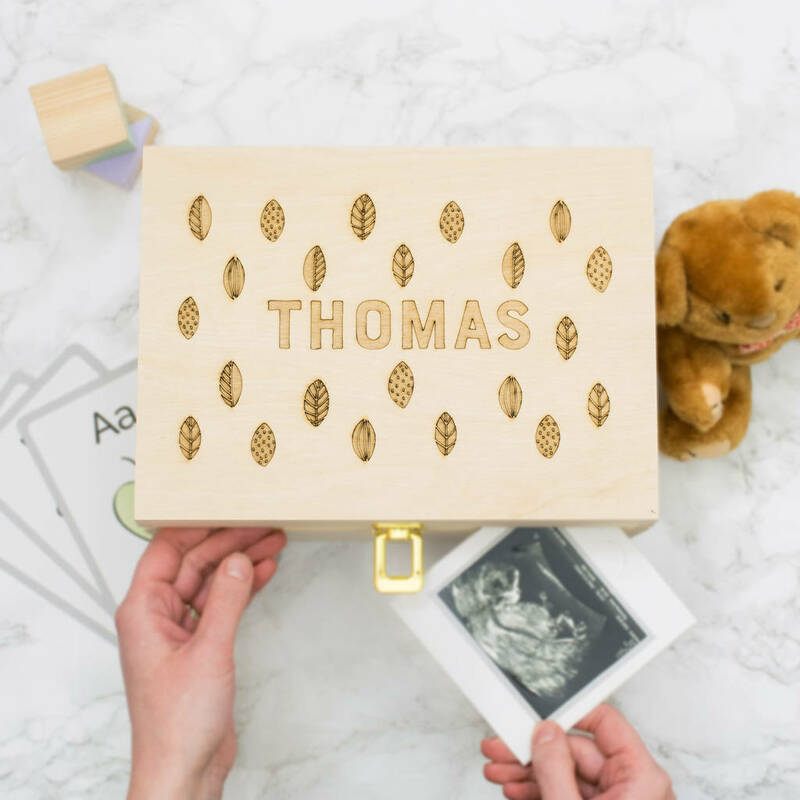 Designed and personalised by our small team in the Sussex countryside, each keepsake box is made from untreated pine and laser engraved with love.